Spend eight weeks part time getting the tools, knowledge & support to start your first incredible business and create the life you love. Have you been thinking about your ideas for a while but not sure where to start? Have you lacked the accountability and support in moving forward? Do you feel you are missing some of the concepts of business that you need? Do you feel frustrated and alone on your journey to creating an income from your ideas? Just like you, I want to chase my own true potential. Through many years of learning and challenges I have found that there are massive opportunities personally and professionally when you start down the road of entrepreneurship and business. In life I am driven by 'Blurring the Lines of Work & Play' & I believe passionately there are plenty of opportunities for more people to join this journey too. Starting a business is the perfect 'self growth engine' which enables lifelong learning, challenge and adventure - leading to a life we absolutely love living. It allows you to chase your dreams, change the world, deliver value, stay engaged & constantly learn. … something special WHEN YOU START YOUR OWN THING - you are suddenly empowered by the control you have over your own destiny and the opportunity you have to change the world and chase your full potential.  YOU LEARN & GROW. EVERY. SINGLE. DAY. These breakthroughs help you create not only an incredible business - but also an extraordinary life. They give us the energy, the confidence and the knowledge to take not only our business to the next level, but to make this journey a fulfilled and meaningful one. After experiencing the breakthroughs personally over and over again via starting and running four of my own businesses, I started lecturing & teaching entrepreneurship at a University Masters level five years ago. Through this teaching I became deeply passionate about helping guide others on their own first business journey so I began mentoring and running workshops outside of the University too. Then I decided to take everything I have learnt and put it all together so I can help even more people create incredible businesses and lives. I am proud to be able to invite you to be a part of an amazing course happening this year! This is not your normal BUSINESS COURSE! Wantrepreneurs come together to learn, challenge themselves and accelerate their business learnings and ideas. Finally start building the business and life you have always wanted through directed learning and support from an experienced and passionate entrepreneur. Learn from someone who is relentlessly supportive of you on your journey whilst inspiring you through their own journey. Starting a business can be scary and overwhelming at times. Having someone experience involved who 'has your back' and encourages you along the way will accelerate your learnings and keep you motivated. There are a million directions & ways to take an idea. Having someone guiding you who has been through the challenges themselves is powerful. Theory can be useful, however real practical experience is worth a lot more. Having someone guiding you who has been through the hard yards of business themselves means you will skip hurdles and traps along the way. At every single level 90% of the challenge is about mindset. Learn about some powerful concepts of mindset that you can easily apply in your business and daily life. These include things like the concepts of abundance, ambitious goal setting and limiting beliefs. Having the right tools in place increases your productivity & accelerates the growth of your business. Plus gives you flexibility & freedom from it. Rapidly advancing technology has drastically decreased the costs of running a business. This makes it feasible for more people to start their own business. In addition these tools automate boring and scary tasks such as managing invoicing and tax compliance. Every single business is built on similar core foundational concepts. Learning these concepts is essential to your success. Some of these concepts are unclear, complex and overcomplicated. Breaking down into simple terms and understanding their importance in your business is the secret to building a sustainable business that will thrive and help you build the life you love. Rather than making it all up yourself, you can accelerate your success through proven concepts and templates. As a part of the course you will be given tonnes of powerful templates that you will use for your business during the course. These include things like checklists, the powerful feasibility system and key validation questions. Ideas and talk are the starting point in any business - however it is daily ACTION that defines success. How long have you been thinking about your ideas for and talking about starting a business 'one day'? This course was specifically designed around supporting you to take real action and holding you accountable to advancing your learnings and developing your business into something real. This eight week course is designed to help you take an existing idea, skill or problem you want to solve, and take the first steps to starting a real income around it. This course is all done online so you can take it with you wherever you go! Weekly mastermind group coaching call with extra tips + Q&A session . Eight jam packed video lessons+PDFs with valuable content, concepts & plans for success. Tried and tested worksheets, templates and REAL life creative business examples for you to use for your ideas. Shown how to use and create key tools and systems to automate your business. Key mindset tips and strategies to stay motivated & energised. 48hr reply priority email access with Logan Elliott during the 8 weeks of the course for 1:1 advice, feedback and answers. Connection to other likeminded course members through the FB Community and group calls. Lifetime access to the course templates, videos and examples so you can use them on this idea as well as future ideas! My journey and why I want to help you! Through my own journeys of business I have journeyed up erupting volcanoes at sunrise. I have been paid to breathe fire over 20,000 people to welcome in a New Year. I have danced with Giorgio Armani whilst on stilts. I have travelled the world in a mirrorsuit. I have hung out with Richard Branson. Recently I got to share some of my story on 60 Minutes! I have overcome some epic challenges & grown personally & professionally every single step of the way. After attaining academic DUX at High School I left home to chase my passion of science and technology! At the University of Otago I studied an intense degree in ‘Molecular Biotechnology’ combining genetics and business. On the side of my studies I started running events for science students, started walking on stilts, managing performers & organising conferences. After my science degree, I completed the ‘Masters of Entrepreneurship’, as I wanted to learn more about the fascinating world of business & dream chasing. Over the years I have built four businesses including a Tech Company at age 17 (StopCom cell phone tracker), a Festival and Retreat Organisation at 21 (Circulation), this organisation 'Lifetime Creative' and my absolute pride and joy: 7 year old, New Zealand wide, creative entertainment company: Highly Flammable Ltd (www.highlyflammable.co.nz). So Logan why the LTC Masterclass? I have always had a passion for guiding others through transformational experiences and for the past 6 years I have been guest lecturing at the Masters of Entrepreneurship program (yes the one I studied! ), next to running my own businesses. This started as I saw a gap in the program around actionable advice and tools from someone deep inside the journey themselves. This has been an absolute blast and has connected me with and allowed me to support several hundred inspiring entrepreneurs of the future. Early on, these teaching experiences began to help me see how I could help others in their own journeys - so I also started running a few workshops and doing some business mentoring. Meanwhile in 2014 I found I had taken Highly Flammable as far as I could in New Zealand. Sure it was going great and still growing, but I was ready for an additional business challenge (being honest I was getting bored). So after some internal reflection on what I wanted, I took a trip! I travelled across Australia and Asia looking for the next location to launch the first international operations of Highly Flammable. I then spent 9 months validating and preparing for the launch of the Melbourne and Sydney operations. It was a costly failure that never got off the ground. There was plenty of potential and opportunity (actually there still is! ), but something didn't sit right. At the same time of validating launch I was also becoming more and more passionate about my teaching and facilitation work. I knew what starting my own businesses had done for my life personally and professionally and I knew that my businesses were really making impactful differences to the world. 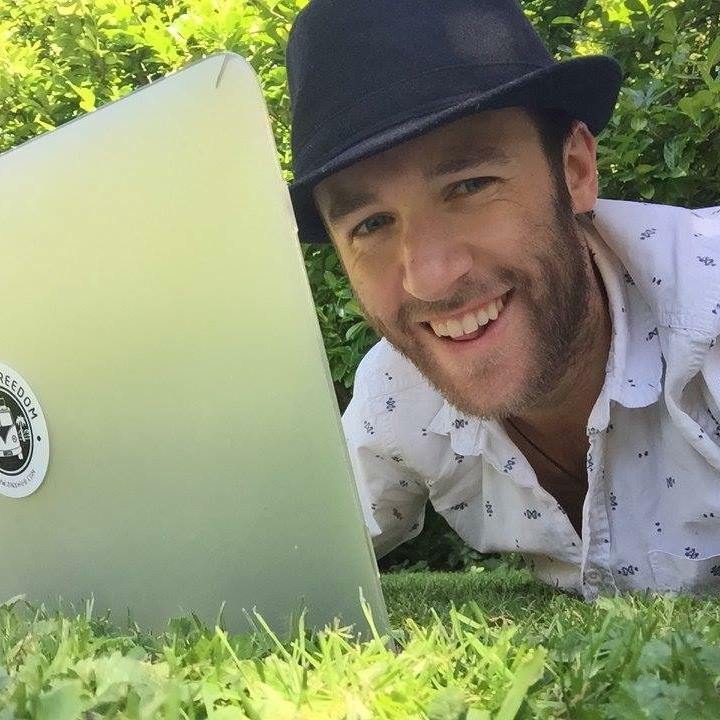 Plus I was on a journey discovering the world of 'digital nomads' and the fascinating new business models and tools which were allowing more and more everyday people to start their own business without big risks or costs. These people were also building businesses based on passion and purpose and they were having real impact on the world. These new age unconventional ideas facinated me and I took some time out to reflect much deeper. I discovered that deep down I was relentlessly passionate about enabling the journey of entrepreneurship in others. I now know deeply that this is my purpose in the world and the way I can make massive impact that matters and means something way beyond myself. Highly Flammable Entertainment is still going strong and with an amazing new GM I have been able to step back enough to also work on developing Lifetime Creative to undertake this new mission. During early 2016 I took the skills I learnt in my degrees, the learnings I had painfully discovered through my businesses, the ideas and concepts I had found in books, podcasts and workshops and the content I had developed for my own masters course teaching and I created this course, the Lifetime Creative Masterclass. It was an intense period of creation to say the least! During 2016 I battle tested the new course with 10 amazing individuals throughout the year and step by step have updated and developed it to become something that I am immensely proud of. This is the course I WISH was around when I started out as it would have saved me years of figuring it out myself through trial and error. I am super excited about my goal of putting 100 people through this course in 2017 & hope you can join us on the adventure yourself! OK BRING IT ON - LETS DO THIS! 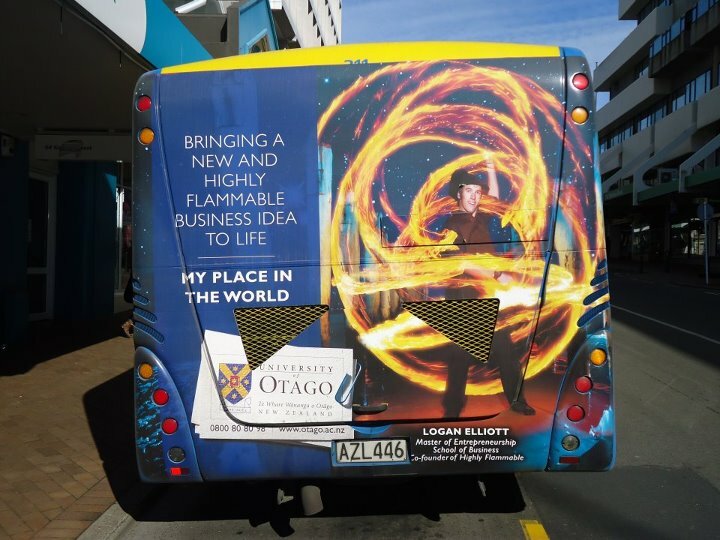 “Logan plays a key role in delivering part of the Masters of Entrepreneurship Programme at Otago. His skills, energy & enthusiasm around entrepreneurship are valued by the students”. - Jodyanne Kirkwood, University of Otago Masters of Entrepreneurship Programme. "The structure of the course permits me to feel uplifted and on task (almost always), as it is focussed on my needs, not the needs of the course prescription”. This course gave me a whole bunch of practical tools and skills for building a business, as well as accountability. Logan creates an environment where it is safe to learn, make mistakes and not have all the answers. For those who aren't confident in the business process or don't think you are entrepreneurial - Logan is super encouraging and supportive. “This course puts into perspective just how feasible a business is. The whole point of this course is to empower you to be able to create without being weighed down by false beliefs”. - Vanya Essin, Ivan the Red. (Coach and Fitness Instructor). “Logan's the most enthusiastic & passionate guy you'll ever meet, and he's out to change the world. In the course he supported and mentored me every step of the way. He's gifted with bringing the best out of everyone he meets & I take huge inspiration from him everyday”. “Logan is supportive and enthusiastic. What's special is he listens and is a good sounding board and asks great questions”. Week One: Definitions, Introduction and Expectations. Week Two: Finding your Sweet Spot. Week Three: Feasibility Analysis + Making Numbers that Matter. Week Four: Products and Target Markets. Week Five: Validation of your ideas in the real world. Week Six: Survey and Market Feedback. Week Seven: Market Driven Product Design. Week Eight: Launch + Master Plan. Your are required to apply to undertake the course. There are limited places per stream. Group Coaching Call: Tuesday or Wednesday's (everyone is sent a recording, even if they cannot attend). Course videos and activities arrive in your email inbox every Sunday morning. Activities need to be submitted for feedback each week by 8pm each Saturday to gain feedback within 3 days. If you get behind in the course then you can catch up. Plus you have lifetime access. The investment in this course is an investment in yourself, in your dreams and in your future. It will mean you can accelerate your success, finally get moving on your ideas and help you make the right decisions to increase your success. I want to create a raving fan and deliver tonnes of value to you; just as I have done with our past clients on this course. The learnings you take away will not only help with current idea, but will give you a solid understanding of the process, concepts and world of business - something that most people severely lack. - $200 NZD booking deposit required upfront to confirm one of the limited spots in the next stream. - 5% discount offered for full payment upfront, otherwise payments are due weekly during the course ($200 deposit then $125 week). 1. Where is this course based? - This course is NOT based in a fixed location. It is designed specifically so you can do it from anywhere, with myself also being based anywhere during the course period (I travel globally each year whilst I work and teach remotely). The content and material is delivered through recorded video, live Skype and interactive online templates and worksheets. This also allows you to work through the coursework at any time during the week to suit your availability. The other great thing is that after the 8 week course ends, you still have access to ALL the course videos and content. BOOM welcome to the possibilities of online. 2. Can I do this on top of a full time job/study? - Yes! This course is specifically designed to be part time, which you can manage around other work or study commitments. I fully understand you are needing to balance this on top of other commitments. Many of the past course participants found the course workload very manageable. However you do need to make time for it and this may mean some evening and weekend coursework, instead of streaming movies or going out with friends. This is not a 'quick fix' program where you get 'all the answers' - you need to put in the time and energy to get the most out of it. 3) Do I need an idea to start with? - Yes you need a basic idea, concept or at least an audience you want to help or problem you want to solve. However it does not have to be detailed or fleshed out at all. It does not need to be perfect. It does not need to be a million dollar idea. This course is designed to take an idea through to launch, however the most important elements of the course are also the core business learnings, mindset and processes which are relevant for all business ideas. Please email me (Logan@lifetimecreative.co) for support if you are struggling to find an idea or decide an idea. Believe me when I say having the 'right idea' should not be a barrier to you getting underway on this journey. 4) Is this just an automated course that you don't engage with personally? - No way. From the start I have always been super determined to ensure this course has plenty of touch points and real personal support from myself, leveraging my own unique business experiences and learnings. This includes the live weekly group Skype call, weekly personalised coursework feedback, priority email reply and the supportive private facebook community. I have always wanted to engage as much as possible with course members and give them the guidance they need to take their ideas to the next level. 5) Can I do this with you 1:1 rather than as a group course? - The course is designed to be run with an engaged group of likeminded individuals.The man touch points with the other course participants are the group skype calls and the private facebook community. This brings in the community aspects of business - extra support, perspective and accountability on top of what I give you. However there are premium options where you can add extra 1:1 coaching calls onto the course. 6) I already have a business - is this course with me? 7) I have studied business already - will this course still help me? - Yes, absolutely. One of the reasons I started this course is that I strongly believe there is a lack of courses or options out there giving this sort of experience, knowledge and support for someone wanting to build their own business (even at a University level). Many of the courses that do exist are run by people who are not active in running their own business and many have never even started their own business before. They are often overly theoretical and lack accountability for real world action on a real business idea. In addition they do not teach the latest tools and systems of business and rarely cover mindset - which I think is one of the most important things in the business journey! 8) I have more questions! ?